A mystery that may never be solved to my satisfaction is this—why does Hollywood seem determined to take a wonderful book and rewrite it? And, seldom for the better. And then, to add insult to injury, the public welcomes the poorer version with such acclaim that the original is lost to remain hidden on a dusty shelf in a used book store. 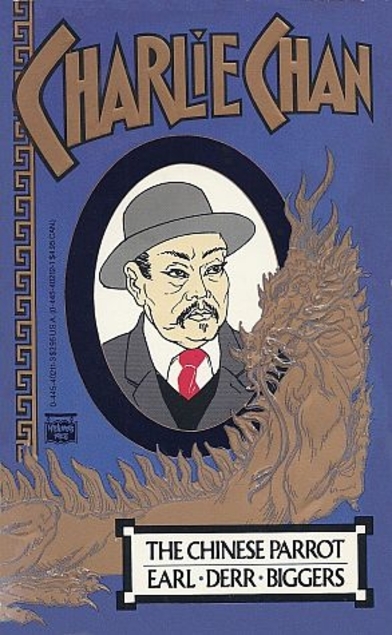 Such is the tale of that illustrious detective Charlie Chan of the Honolulu Police, brought to life by Earl Derr Biggers. Biggers was born in 1884 in Ohio, graduated from Harvard in 1907. He worked as a journalist following graduation and was the drama critic for the Boston Traveler. His reviews were too blunt (a lesson for all who review) and he was fired in 1912. The following year he wrote Seven Keys for Baldpate which was immediately successful. Seven different films were made of the book over the years, plus two others which told the same story but were given different titles. Other books followed and then he decided to write a mystery. The House Without a Key was serialized in the Saturday Evening Post beginning January 24, 1924. His second Charlie Chan book was bought by the Post for $25,000. 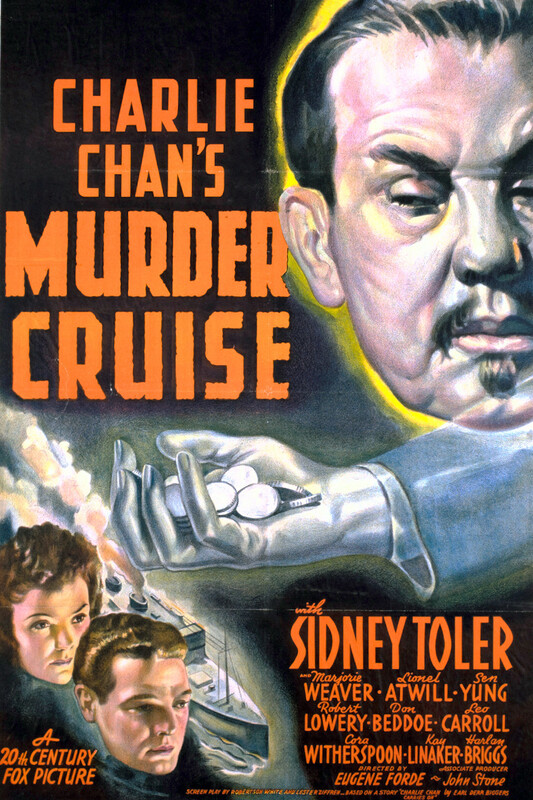 In total he wrote only six Charlie Chan novels, but thanks to Hollywood writers Charlie has appeared in over four dozen movies. He has also appeared in numerous pastiches, comic books and even a board game. Biggers stated on the occasion of the twenty-fifth anniversary of his graduation from Harvard University in 1932, “I am quite sure that I never intended to travel the road of the mystery writer. Nor did I deliberately choose to have in the seat at my side, his life forever entangled with mine, a bland and moon-faced Chinese. Yet here I am, and with me Charlie Chan. Thank heaven he is amiable, philosophical–a good companion. For I know now that he and I must travel the rest of the journey together.” Biggers died a year later of a heart attack. He was 48. In the books Charlie speaks English well, only using a Pidgin English when “undercover” such as in The Chinese Parrot. He comments to his companion, “All my life,” he complained, “I study to speak fine English words. Now I must strangle all such in my throat, lest suspicion rouse up. Not a happy situation for me.” When he is accused by a young woman of having a “do-nothing” “Confucius attitude” he stands up for himself. In fact, none of his wise comments are ever attributed, in the books, to Confucius as is the case in the movies. Not all the books take place in Hawaii, however. Charlie comes to the mainland in The Chinese Parrot, Behind That Curtain, and Scotland Yard in England has the first twelve chapters of Charlie Chan Carries On. In fact, in the first book we learn how these stories will move along. John Quincy speaks to a fellow mainlander who has been on the island for some time. ‘”I don’t see how anyone can work in this climate,’ John Quincy said. ‘Oh, well, we take it easy…Every now and then some go-getter from the States comes out here and tries to hustle us.’ He laughed. ‘He dies of disgust and we bury him in a leisurely way. Been down to breakfast?” In sharp contrast to our present day mysteries the body may not show up for several chapters. 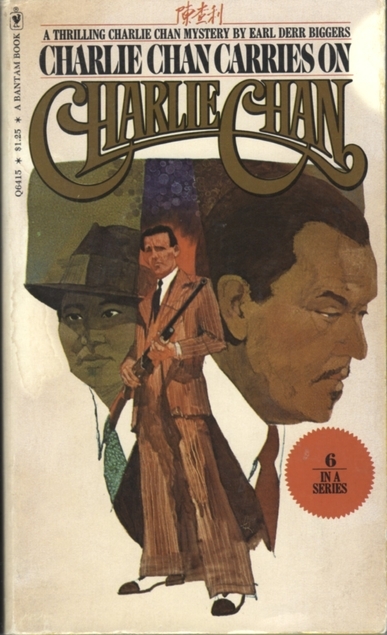 Another noticeable difference in the Cham mysteries from today’s crime fiction is that although Charlie is most assuredly the star, he mostly appears as a background character. Charlie is the one who patiently waits for the clues, which always come to him, and who solves the case. Every character in each story is completely fashioned out of whole cloth, be he the steward on a ship or a rich business man. I recommend taking the time to read the six Chan novels. I also firmly believe that you will become so enamored of Biggers writing that you’ll move on to his non-Chan books, a couple of them have tremendously wonderful twists at the end. The Chan books in order are: The House Without a Key, The Chinese Parrot, Behind That Curtain, The Black Camel, Charlie Chan Carries On and The Keeper of the Keys, the only Chan book not to become a movie. It was, however a stage play. Give these non-Chan books a try: The Agony Column in which a young man courts a young lady through the personals (known as the agony column) and tells a tale of murder. This is one with a great twist. The Ebony Stick which is a story of a con job gone wrong, then right, then wrong, and finally with a twist, right. It involves love, of course. “…they’re to be married in Florence. Ain’t that a sissy name for a town?” Love Insurance which is a comedy of errors, false identities, stolen jewels love and marriage. Fifty Candles, and my least favorite, but the one that started it all – Seven Keys to Baldpate. I began to read them through the Gutenberg project, but came across a book containing five of them (used) in a used bookstore, then found many are available through good old Amazon. How available are the Chan mysteries? You see mysteries the way I do as records of a social world. Really enjoyed your discussion of Chan’s methods.